Felt in the Soul of bones. within a blink of his unparalleled own. is this something I could so easily forget? in an azure asymmetry of amateur sky. and waiting . . .
I’m too young for this. letting go of things we’ll never have. I wrote this poem at the tender age of 11 regarding a true encounter that happened in my childhood growing up in New Orleans. I wrote it during my first encounter with these two remarkable Souls that forever left an imprint in my life. A friendship ensued from this, eventually, until they moved away, much to my young broken heart. In looking back, I realize how truly blessed I was to have known this young German boy who spoke no English at all and his German Shepard seeing-eye dog, his constant companion. Over the long years, I have often thought about them both, and the impression they left imbedded in my shattered youth. I wondered where they went, and if they were still alive. I will never forget them, and I just wanted to share it with you, hoping you find it as interesting and hauntingly beautiful as I did then and still do. I knew a Deaf dog once. He was the eyes of a Blind boy. one to tell the other how it Felt. inside the strain of Darkness. The dog would whimper to what the boy failed to see. I followed them once, in curious awe. The dog saw through me and sauntered on. So I let them go, shook-up with childish Loss. my eyes and my ears so young in my Life. This poem has never been altered since its original conception: remember: I wrote this poem at the age of 11. Somewhere in a bed of hay, an Elephant weeps. to expect her submission when he yells demands in the Ring. the baby calf that lies inside is afraid to come out. forced to dance with Chains and Fire and Ice. This night he beat her and left without leaving water and food. her hunger drove knives deeper in her sides than Winter’s pierce. Who felt worthless thought he’d feel better if she was Hurt. that protects her from nightmares of Men that whip Elephants. and draws one last breath in this gift of peace and knowing silence. that becomes an Elephant’s Triumph. and joins the Herd she knew only in Dreams. of many . . . 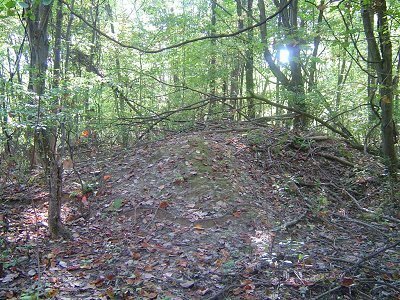 The picture below is the Indian Mound discovered with a friend of my family, who was a Geologist, in Ponchatoula, Louisiana, near the Tangipahoa River, where my parents had a summer place and I grew up along her banks. The Poem is a true account of what transpired after this Geologist and I discovered the remains of an ancient Indian tribe called the “Acolapissa” who were of Muskogean stock and closely related to Choctaw and Chickasaw, once abundant in the area in the 1680’s before the French and Spanish settlers came and depleted their numbers drastically. This memory is to keep alive what I encountered that day and has forever stayed with me. I was only fifteen years old at the time. of their ancient, torn voice? carry inside ~ was it a sign?